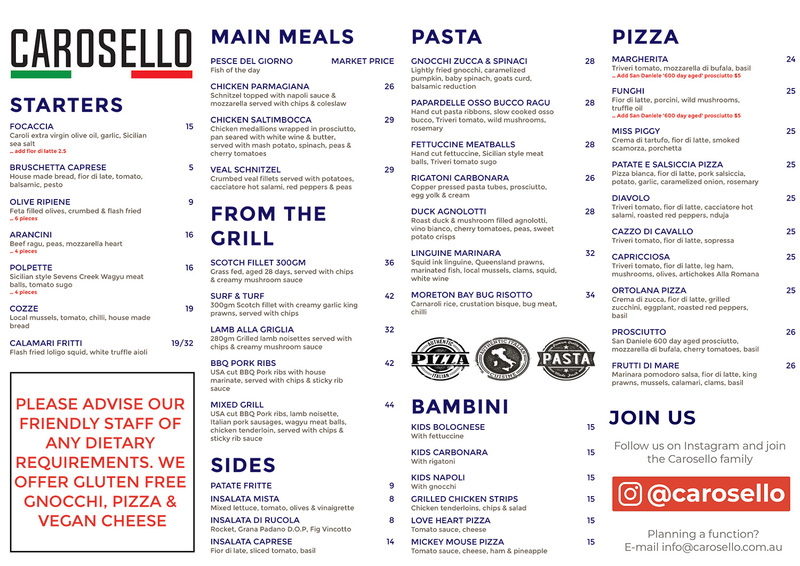 You'll find Carosello in the heart of Moonee Ponds, a traditional Italian restaurant serving wood-fired pizza & handmade pasta. Step inside and let us give you an amazing evening. Carosello is the perfect venue for your next function. We specialise in birthdays, anniversaries and engagements. Contact us to see how we can celebrate your next event, Italian style! Carosello is opposite the Monee Ponds Train Station. There is a car park next to us which allows for easy parking.